The Puritans were English Protestants in the 16th and 17th centuries who sought to purify the Church of England of Roman Catholic practices, maintaining that the Church of England had not been fully reformed and needed to become more Protestant. Puritanism played a significant role in English history, especially during the Protectorate. By the late 1630s, Puritans were in alliance with the growing commercial world, with the parliamentary opposition to the royal prerogative, and with the Scottish Presbyterians with whom they had much in common. 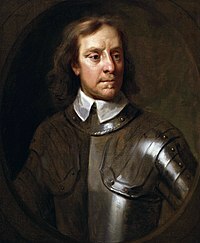 Consequently, they became a major political force in England and came to power as a result of the First English Civil War (1642–1646). 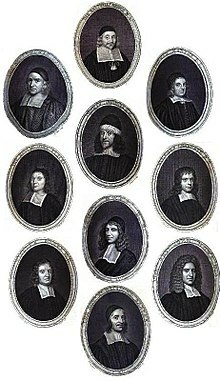 Almost all Puritan clergy left the Church of England after the restoration of the monarchy in 1660 and the 1662 Uniformity Act. Many continued to practice their faith in nonconformist denominations, especially in Congregationalist and Presbyterian churches. The nature of the movement in England changed radically, although it retained its character for a much longer period in New England. Many of James's episcopal appointments were Calvinists, notably James Montague, who was an influential courtier. Puritans still opposed much of the Roman Catholic summation in the Church of England, notably the Book of Common Prayer but also the use of non-secular vestments (cap and gown) during services, the sign of the Cross in baptism, and kneeling to receive Holy Communion. Some of the bishops under both Elizabeth and James tried to suppress Puritanism, though other bishops were more tolerant and, in many places, individual ministers were able to omit disliked portions of the Book of Common Prayer. 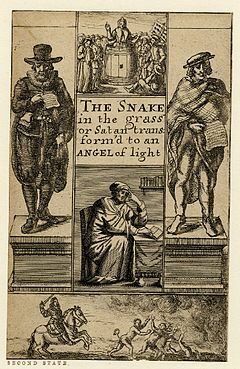 The Puritan movement of Jacobean times became distinctive by adaptation and compromise, with the emergence of "semi-separatism", "moderate puritanism", the writings of William Bradshaw (who adopted the term "Puritan" for himself), and the beginnings of Congregationalism. Most Puritans of this period were non-separating and remained within the Church of England; Separatists who left the Church of England altogether were numerically much fewer. The Dissenters divided themselves from all Christians in the Church of England and established their own separatist congregations in the 1660s and 1670s. An estimated 1,800 of the ejected clergy continued in some fashion as ministers of religion, according to Richard Baxter. The government initially attempted to suppress these schismatic organisations by using the Clarendon Code. 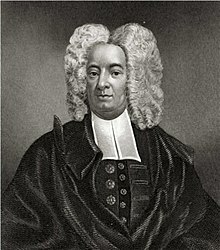 There followed a period in which schemes of "comprehension" were proposed, under which Presbyterians could be brought back into the Church of England, but nothing resulted from them. The Whigs opposed the court religious policies and argued that the Dissenters should be allowed to worship separately from the established Church, and this position ultimately prevailed when the Toleration Act was passed in the wake of the Glorious Revolution in 1689. 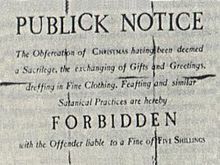 This permitted the licensing of Dissenting ministers and the building of chapels. The term " Nonconformist" generally replaced the term "Dissenter" from the middle of the 18th century. 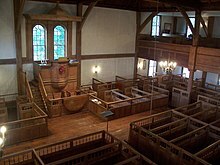 While the Puritans were united in their goal of furthering the English Reformation, they were always divided over issues of ecclesiology and church polity, specifically questions relating to the manner of organizing congregations, how individual congregations should relate with one another and whether established national churches were scriptural. On these questions, Puritans divided between supporters of episcopal polity, presbyterian polity and congregational polity. Puritans were not opposed to drinking alcohol in moderation. However, alehouses were closely regulated by Puritan-controlled governments in both England and America. Early New England laws banning the sale of alcohol to Native Americans were criticised because it was "not fit to deprive Indians of any lawfull comfort aloweth to all men by the use of wine". Laws banned the practice of individuals toasting each other, with the explanation that it led to wasting God's gift of beer and wine, as well as being carnal. 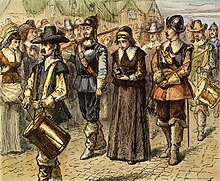 Puritans were politically important in England, but it is debated whether the movement was in any way a party with policies and leaders before the early 1640s. 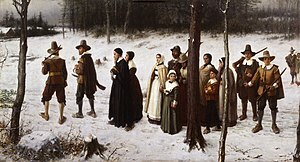 While Puritanism in New England was important culturally for a group of colonial pioneers in America, there have been many studies trying to pin down exactly what the identifiable cultural component was. 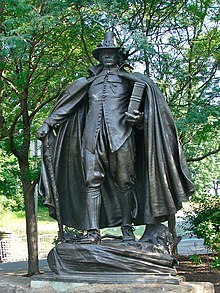 Fundamentally, historians remain dissatisfied with the grouping as "Puritan" as a working concept for historical explanation. The conception of a Protestant work ethic, identified more closely with Calvinist or Puritan principles, has been criticised at its root,[ by whom?] mainly as a post hoc ergo propter hoc fallacy aligning economic success with a narrow religious scheme. John Winthrop is noted for his sermon " A Model of Christian Charity" and as a leading figure in founding the Massachusetts Bay Colony. ^ " The Puritans: A Sourcebook of Their Writings Archived 16 January 2010 at the Wayback Machine". Perry Miller and Thomas H. Johnson. ^ " Leaving England: The Social Background of Indentured Servants in the Seventeenth Century Archived 6 January 2009 at the Wayback Machine", The Colonial Williamsburg Foundation. ^ Beeke, Joel R.; Jones, Mark (2012). A Puritan Theology: Doctrine for Life ( Amazon Kindle ed.). "Regeneration and Baptism", location 18043–18056: Reformation Heritage Books. ISBN 978-1-60178-166-6. ^ Ulrich, Laurel Thatcher (1976). "Vertuous Women Found: New England Ministerial Literature, 1668–1735" (PDF). American Quarterly. 28.1: 37. doi: 10.2307/2712475. ^ Ulrich, Laurel Thatcher (1976). "Vertuous Women Found: New England Ministerial Literature 1668–1735". American Quarterly. 28.1: 35. doi: 10.2307/2712475. ^ Foster, Thomas (October 1999). "Deficient Husbands: Manhood, Sexual Incapacity, and Male Marital Sexuality in Seventeenth-Century New England". The William and Mary Quarterly. 56 (4): 724. doi: 10.2307/2674233. ^ Foster, Thomas (October 1999). "Deficient Husbands: Manhood, Sexual Incapacity, and Male Marital Sexuality in Seventeenth-Century New England". The William and Mary Quarterly. 56 (4): 726–727. doi: 10.2307/2674233.